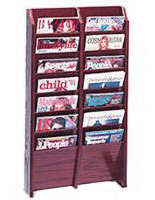 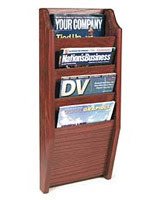 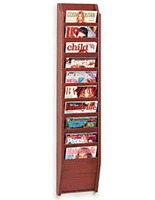 This mounted 8-pocket information rack has a beautiful red mahogany finish that is eye-catching! 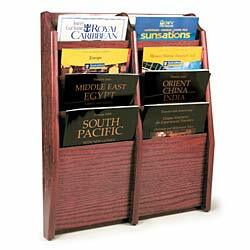 Organize catalogs in chart holders like this one, or medical records, in a professional office! 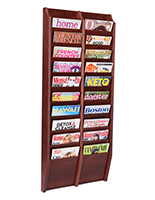 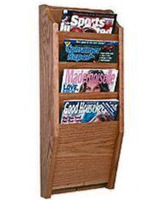 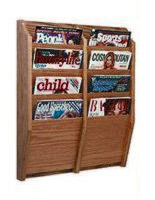 This mounted 8-pocket information rack, such as a magazine holder, provides visitors with reading materials to entertain them while they wait, or promotional material about your company! 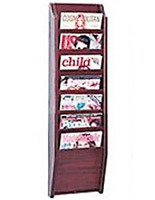 Mount this fixture on a wall to save floor or counter space! 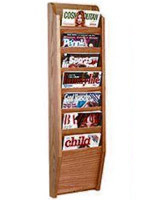 This information rack that is a booklet display works in a hotel lobby, school library or reception area, or hospital waiting room!